Jordan withdraws envoy over Temple Mount clashes. Jordan has withdrawn its ambassador to Israel, citing clashes on the Temple Mount. Prime Minister Abdullah Nsur asked the foreign minister to "recall the Jordanian ambassador from Tel Aviv in protest at Israel's escalation on the Al-Aqsa mosque compound," the Petra news agency reported. The announcement was made shortly prior to this afternoon's terrorist attack in Jerusalem, in which one person was killed and at least 13 wounded, according to Channel Two. The Jordanian government has made several threats to Israel against allowing Jews to set foot on the Temple Mount - Judaism's holiest site. The Waqf Islamic trust to which Israel handed over administration of the Temple Mount is run by Jordan, and the Jordanian government has led pressure against any Jewish prayers being conducted on the Temple Mount, with Jordan's King Abdullah II recently vowing to fight any attempts to implement equal prayer arrangements for Jews. 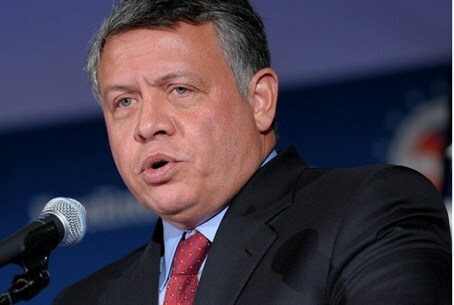 "Jordan will continue to confront, through all available means, Israeli unilateral policies and measures in Jerusalem and preserve its Muslim and Christian holy sites, until peace is restored to the land of peace," the king said in a speech Sunday which notably made no mention of Jewish holy sites in the Israeli capital. Jordan's status as "custodian" on the Temple Mount, Judaism's holiest site, and elsewhere in Jerusalem is enshrined in its 1994 peace treaty with the Jewish state - a treaty some Jordanian officials have ironically been calling to revoke.